Times are changing in the wedding world. 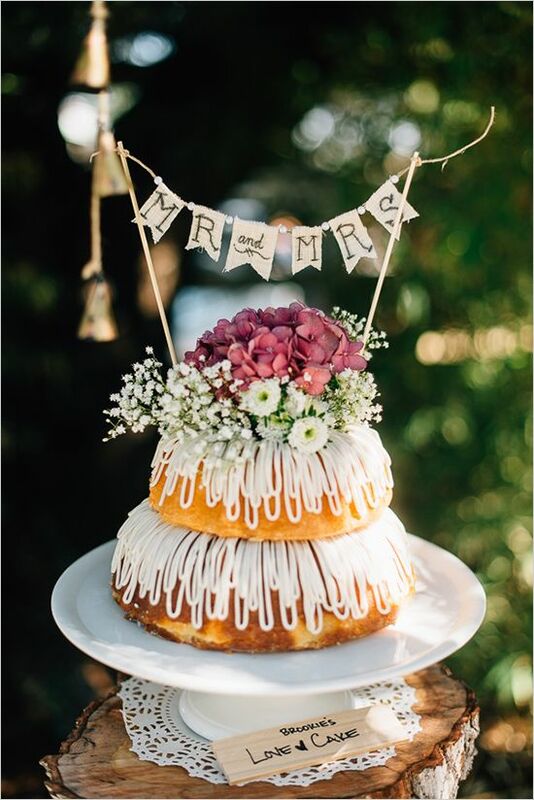 The good old fashioned wedding cake is taking a back seat to a whole variety of options; macaron towers, cheese stacks, cupcakes and even Krispy Kreme doughnuts! But there is a lot to be said about the traditional wedding cake. They now come in a wide variety of flavours, shapes and sizes. 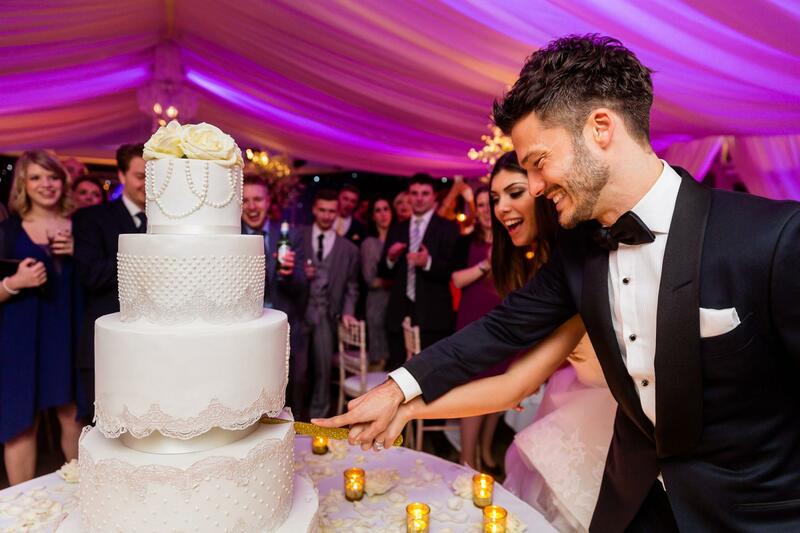 They also add to the venue dressing and cutting the cake as newlyweds is a tender experience that is not to be missed! 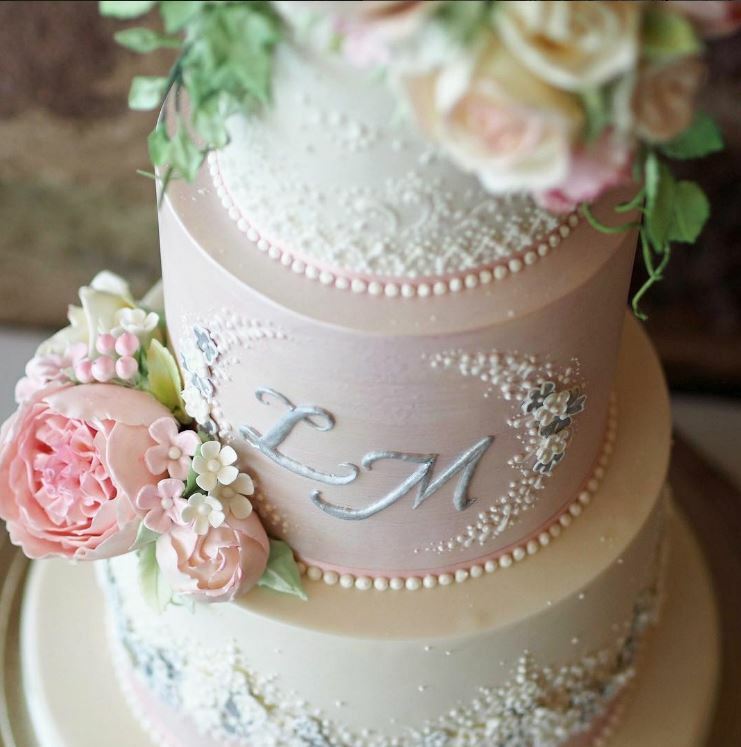 Here’s our little guide on how to decide on the wedding cake for you. 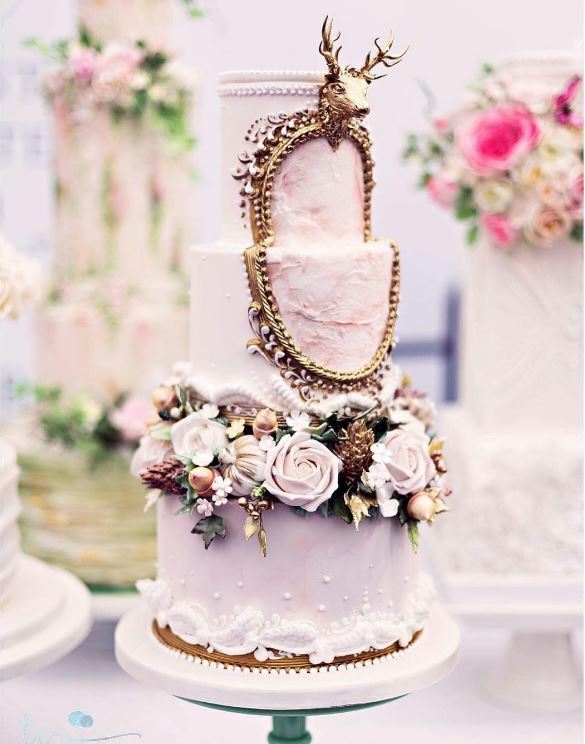 Pinterest, magazines, wedding blogs, Instagram – they are all fantastic for wedding cake inspiration. You’ll find shapes and colours you’d never thought of before. Perhaps you’ll find one that suits you down-to-a-tee so you can then take that image straight to a designer and get an exact copy. We’d suggest you take images with you anyway as a reference to the kind of things you like and then your cake designer can create something bespoke using those as inspiration. Tip: When showing a cake designer cakes that you are fond of, try to identify precisely what it is you like about them. Is it the shape? Colour? Height? Most people will say both is important to them but when you really think about it, this might not be the case. If you love your cake then perhaps the flavour will be at the forefront of your dream wedding cake. You may have a favourite type of cake that you want the top layer to be so you can take it home and have it all to yourself. On the other hand, you may not be the biggest cake connoisseur and therefore are not all that fussed about what exotic flavours go into it. You’ll probably only have one slice anyway. In that case, the look is most important. Identify how you feel about cakes in general and take it from there. Once you’ve been through a cake designer’s website and liked what you’ve seen, it’s time to approach them for a consultation. You’ll be pleased to know that most cake designers treat consultations as tastings too so they’ll have a batch of fresh cake for you to try in all of their best flavours. This is one of the most fun afternoons you’ll have throughout the wedding process and in your life in general! You have the opportunity to enthuse about cake and see the cake of your dreams come together. I generally find cake designers are absolutely lovely people too – you’ll be in good hands. 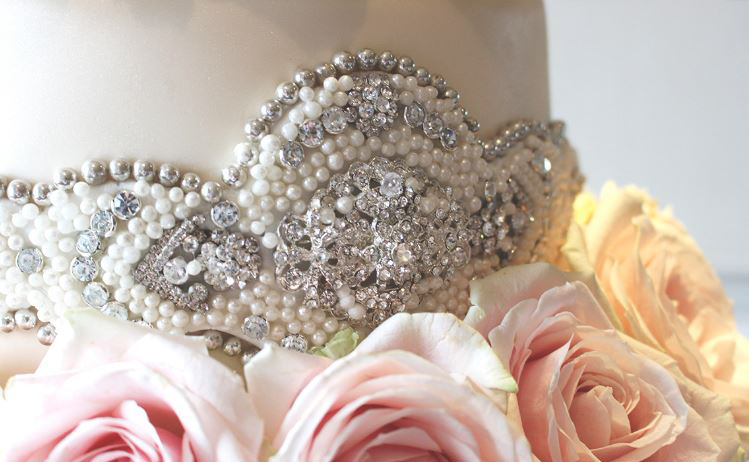 Thinking of hiring Peggy Porschen to make you a life-size model of your wedding dress but only have £100 in the budget? I’m going to stop you right there. Wedding cakes are expensive as it involves a lot of craftsmanship, materials and intricate design. As a guide, a five tier cake with two foam layers can cost you between £700-1000 depending on the design. It can be more cost effective to hire ready-made iced cake layers from M&S, stack them yourself and dress them with some flowers and a light dusting of icing sugar. It’s a simple but effective look. If cake is very important to you then by all means, set aside a big enough portion of your budget to pay for it but otherwise don’t go to a cake designer with a tiny budget and expect a 15 tiered spectacle. Your wedding is in front of all of your friends and family so is likely to be quite a sensible affair. But if you’re a fun-loving, quirky at heart then why not go a little crazy with your cake? You can have it in any colour, shape and style you want – show your personality through it! You can do this with accessories too. 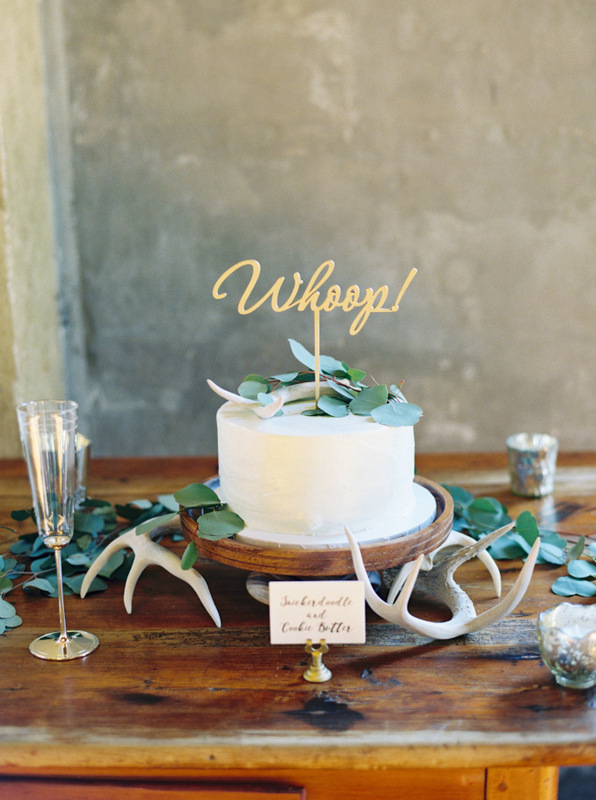 I love cake toppers as they are inexpensive, versatile and a personal touch to your cake. Flowers can play a big role in making it more ‘you’ as well. Try it all, see what fits. And that’s it for this week! I hope you enjoyed reading this article about cake, I enjoyed writing it. Question of the week – look or flavour?